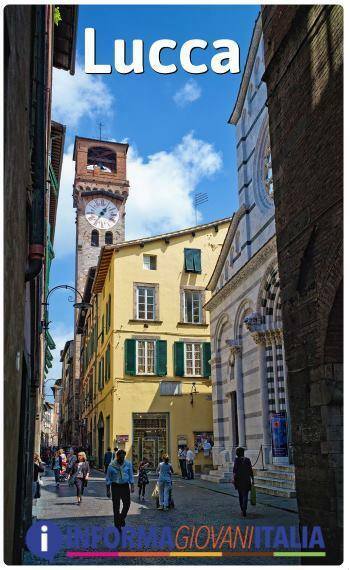 Visiting Lucca is like taking a trip in a time machine, travelling back into the past to experience the beauty of its incredible architecture, the result of centuries-old wealth created by bankers and silk merchants alike. The historical centre has retained its ancient city-state charm, with narrow stone streets, medieval houses, Renaissance palaces, squares and fountains; for centuries these have attracted pilgrims travelling the Via Francigena, the road which connected Rome to France, one of the most important medieval communication routes. You will experience much evidence from this period. Yet Lucca is a city where historical periods overlap and have all left their legacy. Read also Lucca, history. From the original Roman city to the medieval period which bears testimony to the events witnessed from 1400 to 1800 A.D. All of which complement each other whist preserving and respecting the traditions of each period. If you have never been there will be for you a nice surprise. Lucca, a beautiful and cultured city of ancient history, is one of the most famous and visited places in Tuscany, a stage for century of the Via Francigena, with many foreigners who have chosen it as their second home and where the music of Giacomo Puccini hovers. 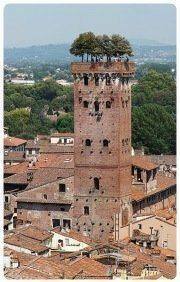 The city is enclosed within a perimeter of 4 km of sixteenth-century walls, which are a real symbol. Inside the walls, the old town has well preserved the character of a "state city" of yesteryear, with its narrow streets and characteristic squares, overlooked by medieval farmhouses and Renaissance palaces. 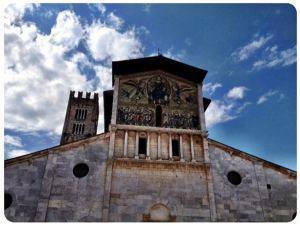 City of 100 churches, Lucca is a paradise also for gourmets and those who love shopping. An example of the popularity of the city is the fact that it has been on the list of the most popular cities in America for several years now. The structure of the Roman city, with its thistle and decumanus, the two cross roads, is still visible in the urban fabric. The Lucca Walls, which were never used militarily, started in 1504 and finished a century later, 4.2 km long and 30 meters wide, are the most famous symbol of the city, place of endless walks and corsets in the tree-lined stands. The circle of Roman remains of the city walls, which has been transformed into charming houses that form the oval frame of Piazza Anfiteatro, destined for aperitifs, shows and events. There are 6 individual gateways to the city which lead into the historical centre. For centuries, these ramparts have protected Lucca from the expansionist ambitions of Florence and Pisa, allowing Lucca to remain an independent state until the mid-1800s, when it was ceded to the Grand Duchy of Tuscany due to the financial problems of the then Duke, Carlo Ludovico di Borbone. The public and religious buildings in Lucca date back to the 11th and 12th centuries, when, thanks to its merchants and bankers, the city had an international economic importance. Many dwellings of the municipal period, with some houses towers still visible, like the other icon of the city, the Guinigi Tower and the Clock Tower. Going back to Via San Paolino, we find another of the squares in the heart of Lucca, Piazza San Michele, with the homonymous Church of San Michele in Foro, from the first half of the twelfth century that blends the Pisan style with the Roman-Lombard style. The interior has a Latin cross and contains many exquisite works of art, including a splendid Madonna and Child, in glazed terracotta, by Andrea della Robbia, and a table that recalls the influences of Botticelli's workshop, here by Filippino Lippi and depicting Saints Jerome, Sebastian, Rocco and Elena Empress (known as Pala Magrini, 1483). 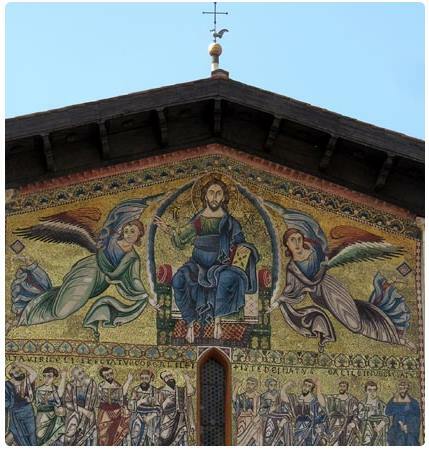 Another church that merges the Pisan-Roman-Romanian-Lombard styles is the Basilica of San Frediano, erected in honor of the patron saint of Lucca, which has an enormous mosaic on the facade that represents the ascension. Don't forget this shining mosaic! The building has medieval origins, while its mosaic dates back seven centuries later. The complex is monumental, although collected in the small square that bears its name; the mosaic, the interior architecture, the cycle of Renaissance frescoes and the exquisite sculptural works, make San Frediano one of the most beautiful churches in Italy. The current basilica, which began in the first XII century and was consecrated in 1147 by Pope Eugene III. Many are the masterpieces inside it, which we invite you to deepen in the article dedicated to the church, but it is above all the tomb of another saint loved by the people of Lucca, to attract attention. 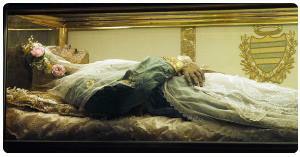 It is Santa Zita, whose mummified body, which has remained uncorrupted, is still visible in the transparent shrine. In the city of 100 churches, there are many places of worship absolutely interesting. 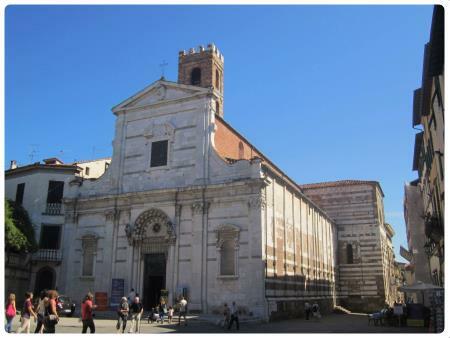 One of these is the Church of Saints John and Reparata, in the homonymous square, between Piazza Napoleone and Piazza San Martino. 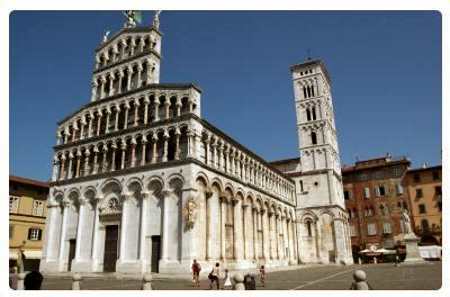 It is an ancient basilica of Lucca, with a square Romanesque-Gothic baptistery built for the first time in the fourth century and that until VII was the cathedral of the city. It has been renovated several times and is now in the Romanesque style, of which the portal of the façade remains, with the deep modifications of the seventeenth century. Today the church houses a museum to allow you to visit the historical stratifications with remains of several buildings dating back to the first century. 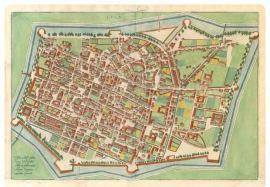 a. C. in the XII century. d. C., brought to light by an excavation campaign begun in 1969. The remains of a Roman domus dating back to the first century BC, of thermal baths from the I-II century. d. C., of the early Christian church and Baptistery, of Lombard tombs, of the remains of the early medieval Baptistery and of the Carolingian crypt, and the baptismal font decorated with coloured marbles inlays. 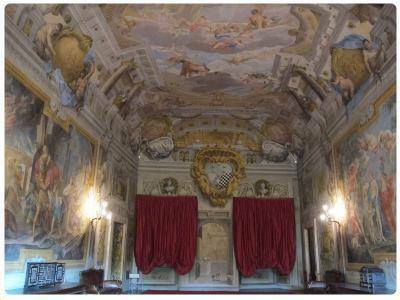 It is also an evocative location for the concerts of Puccini and classical music that are held here every week. Among the civil buildings we remember the Villa of Paolo Guinigi of 1418, which houses the National Museum Guinigi, absolutely not to be missed, with sculptures and finds from the Middle Ages to the end of 1800, Etruscan, Roman and Ligurian archaeological material. The so called Pinacoteca Nazionale, on the other hand, is located in the 17th century Palazzo Mansi and contains an exceptional collection of paintings by Italian and foreign artists such as: Vasari, Jacopo da Bassano, Tintoretto, Veronese, Bronzino, Andrea del Sarto, Guido Reni, Domenichino, Pontormo, Pompeo Batoni. Finally, don't miss two other places dear to Lucca, the Botanical Garden and the house that you will see at number 9 of Corte San Lorenzo. The second place, the house, is the birthplace of the great composer Giacomo Puccini. Sue are some of the most famous works music Opera compositions, Boheme, La Tosca, the Tourandot.... Puccini was born in this part of the historic center of Lucca, a few steps from Piazza San Michele, in 1858 and here lived much of his youth, before moving to Milan in 1922. 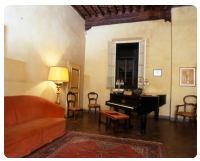 Today, the birthplace is now used as a museum, administered by the foundation dedicated to the great Italian composer. You can admire the furnishings and objects used by the family, including the various awards received by the master during the first phase of his career, which began in Lucca as organist in the nearby Church of San Paolino. The second is the Botanical Garden, an enchanted place suspended between the walls and the city, which stretches for two hectares in the south-eastern corner of the historic center. Founded in 1820 by Maria Luisa di Borbone, Duchess of Lucca (but on the initiative of Elisa Bonaparte in 1814), the Garden is divided into various sectors such as the arboretum, the lake etc. An oasis of beauty and tranquility. Entering through the Porta Sant'Anna you will find yourself in Piazzale Verdi; in days gone this served as the location for many executions. On your left you will find the tourist information office, where you can pick up a detailed map of the city. 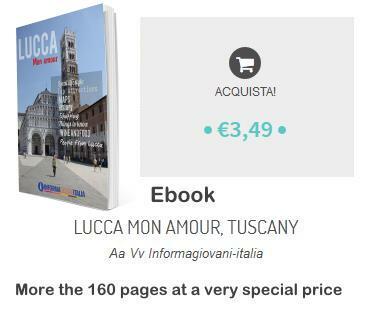 In the following chapters we explore the following topics: things to do and see, history, sight seeing in and around the city, food, famous inhabitants, curiosities, shopping etc. Discover What to see and do in Lucca. 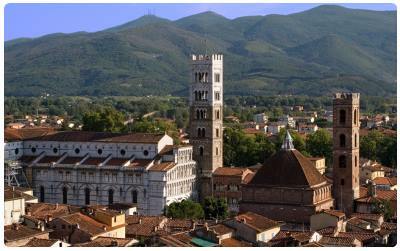 After visiting Lucca, if time permits, we recommend to discover Lucca's surroundings.